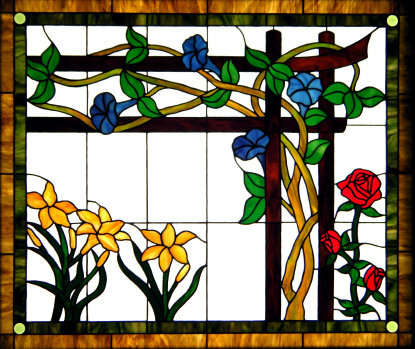 Bob's corner window before stained glass. 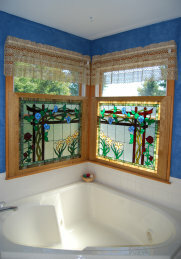 Bob contacted me because he had a rather unique set of 2 corner windows in a bathroom of his home in Princeton Junction, New Jersey. 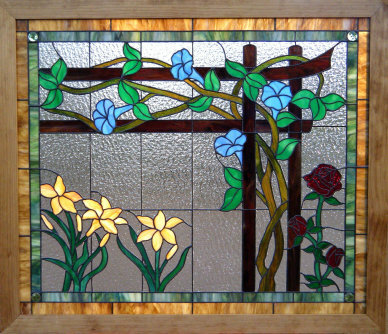 Since this bathroom overlooks his garden, he wanted to "bring the garden inside" with stained glass but still have some degree of privacy. 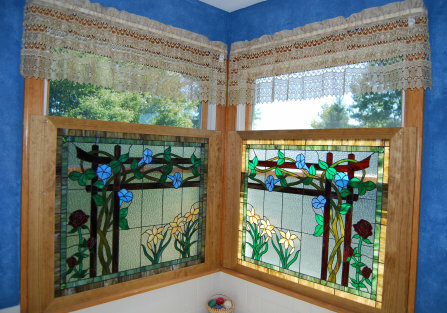 With a trellis, vines and three different flowers, we designed the garden inside the bathroom. Each window mirrors the other, so we get the effect of the trellis starting in one window and ending in the other. I started the design in December and finished construction in early March of 2010. 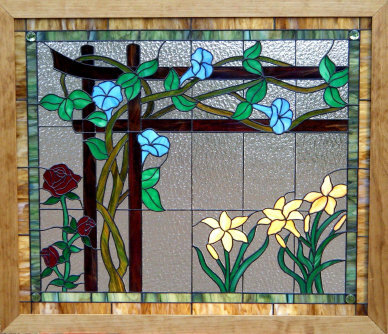 These windows were particularly challenging because of the large number of pieces and their physical size. 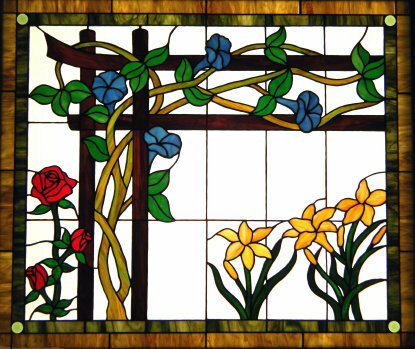 Each window of Bob's Garden consists of 341 pieces of glass and measures 39 1/2 " by 34" including 2' pine frame. They were completed in March, 2010. 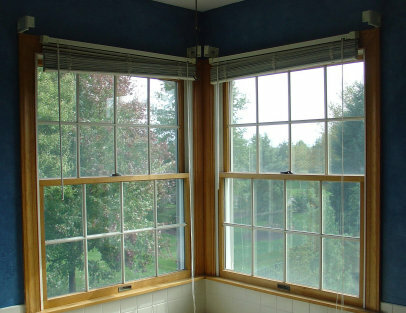 Bob graciously sent some pictures of his windows before and after installation. Hopefully, we accomplished our goal of adding some color to the room and providing some privacy while letting in a maximum amount of light.